Ministry of Health Permanent Secretary in charge of training Professor Elwyn Chomba has called on nurse training institutions to ensure they train competent health providers. She says there is need to widen the training net in a bid to attain universal health care in the country. The Permanent Secretary said this when she graced the General Nursing Council meeting with nurse training institutions. Professor Chomba says the Private Public Partnership policy in the health sector is yielding positive results as more private health training institutions has come on board. She said the country has 37 private training institutions and 38 public and church owned institutions. And General Nursing Council Registrar Dr Aaron Banda says nurses play a critical role in achieving universal health care. He called for continued collaboration between government and the private sector in the training of nurses in the country. A competent nurse is one who adheres to the nursing / hospital values . Examples of these values would be ; compassion, accountability, caring, innovative, honesty, respect, seeking excellence and above all , one needs to have passed and satisfied the nursing board with the appropriate registration. 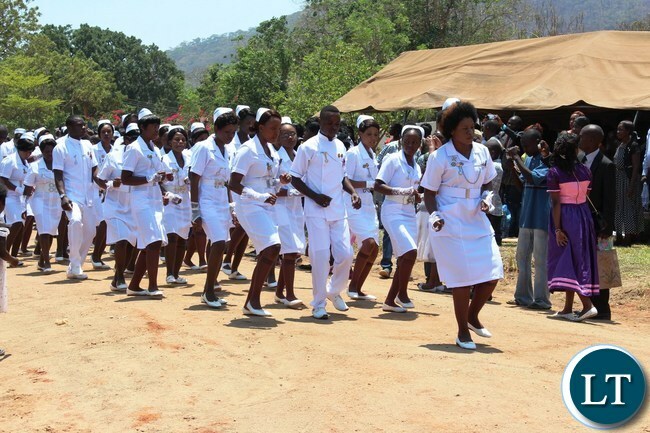 I noticed in zambia that the nurses are dressed so smartly and they let the relatives do the nursing care , why ? All they do is administer drugs and they are so unfriendly and rude. They slap on red / purple lipstick and wear their white uniform as is they are going to a dating or fashion show evening. You should look at the affairs of health workers critically, they are lowest paid yet they are not motivated, they work for many years without confirmation.